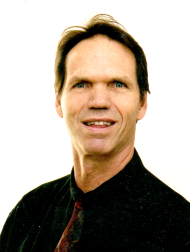 Speaker 2018 - GREGORY MELVIN, D.C.
GREGORY MELVIN, D.C. received this Chiropractic Degree in 1977 from Cleveland Chiropractic College in Los Angeles. He then went on to continue his education with over 300 hours of Spinal Column Stressology in Long Beach, California. After attending the International Academy of Clinical Thermology, he became the Thermography Reader for Thermal Vision in San Diego. He will speak on Thermography, The New Mammography.